West Suburban Podiatry (La Grange) - Book Appointment Online! 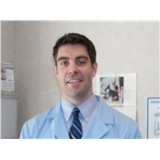 West Suburban Podiatry has served the western suburbs of Chicago since 1983. As a well-established podiatry and podiatric surgery practice, you will find compassionate physicians who are well qualified to provide exceptional treatment for your foot and ankle problems. West Suburban Podiatry has four podiatric physicians highly trained to treat all types of foot and ankle pathologies, including sports medicine, diabetic foot complications, bunions, pediatrics, skin and nail problems, and much more. If surgical treatment is required, West Suburban Podiatry has staff privileges with Adventist LaGrange Memorial Hospital and Adventist Hinsdale Hospital. Our office facilities include in-office X-rays for efficient diagnosis and treatment of your condition. We are conveniently located near both Adventist La Grange and Adventist Hinsdale Hospitals. Dr Gocke is very friendly. He introduced himself by his first name Sean, which is great and made me feel very comfortable.